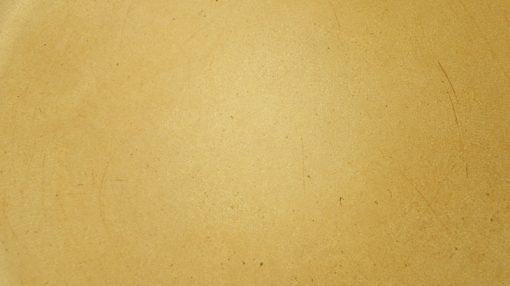 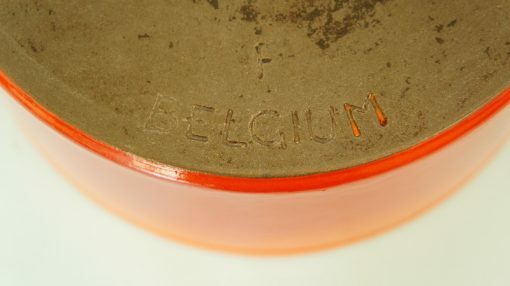 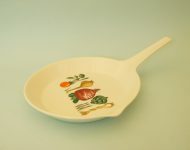 I love this vintage Belgian flameware! 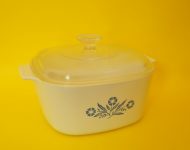 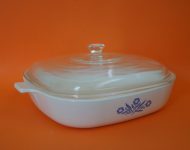 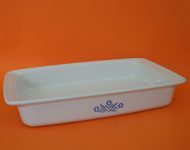 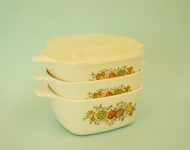 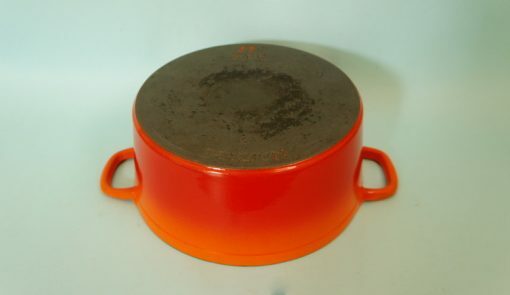 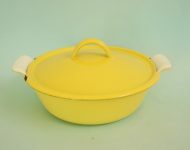 If my memory serves me correctly flameware was first made popular by the Belgian company Descoware, who were eventually taken over by Le Creuset. 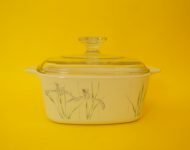 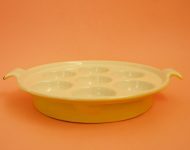 The French cookware company quickly appropriated the popular design, and it’s since become something of a Le Creuset trademark – you can see why they’d have wanted to steal it, it’s just fantastic! 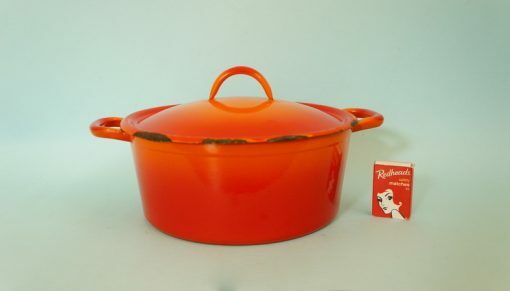 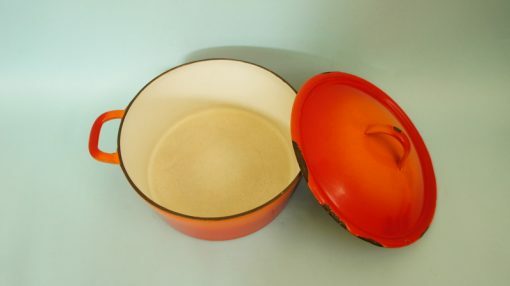 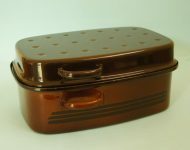 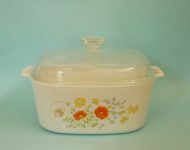 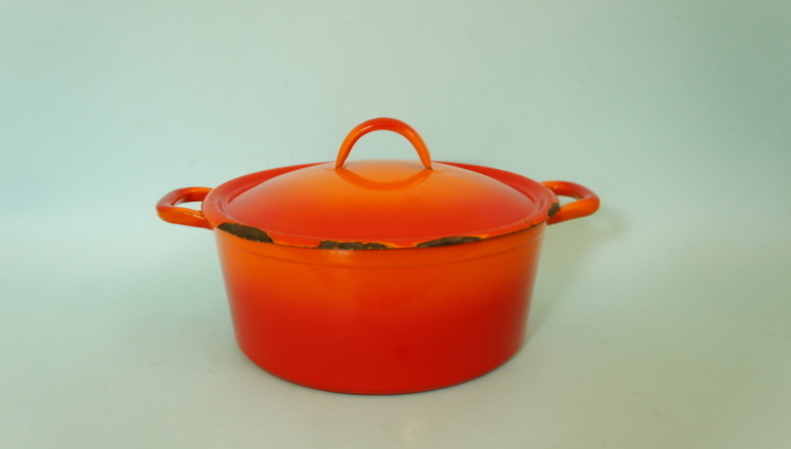 And this is lovely example: it has that classic graduating orange enamel finish, with a nice simple shape, and on the whole the pot’s in good condition for its years. 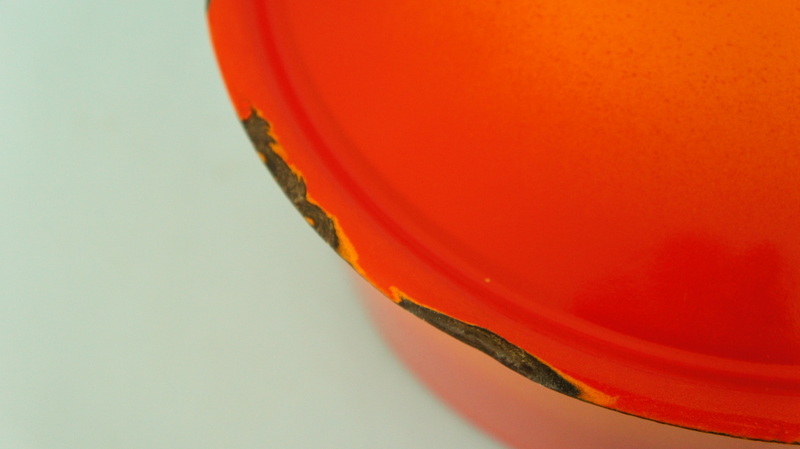 There are a few chips to the orange enamel, and the inside of the pot’s quite worn, but definitely clean enough to use – in fact I’d say that this pot has got a good many years life left in still! 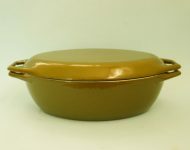 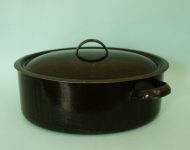 A handsome and great quality pot that would make a fabulous addition to your collection of pots and pans.